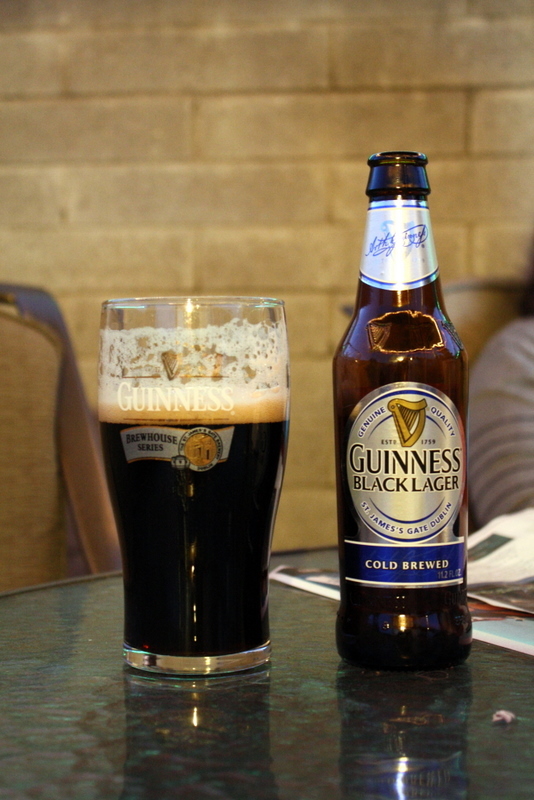 I wanted to like Guinness Black Lager, I really did. I try not to get too caught up in beer marketing, but like many beer geeks, Guinness holds a special place in my heart even though I rarely drink it these days. While Guinness isn’t a craft beer per say, it could be said that it is a “gateway drug” to craft beer. I’ve heard many beer geeks cite Guinness as the beer that caused them to branch out from drinking macro import and domestic beers and start drinking craft beer. When I got an email asking if I would like to try a sample I had to say yes. I was a bit skeptical, I’m not typically a huge fan of most lagers, but I had to give it a try, and I’ll be damned if I wasn’t just a bit hopeful based on the Guinness brand. It’s dark, just like the Guinness Stout you might be used to, but that’s about where the similarities end. I poured it rather aggressively from the 11.2oz bottle into a 20oz imperial pint glass which caused a big light brown colored head. It disappeared rather quickly leaving lacing along the top of the glass and ended up as just a small sheet covering the top of the beer. The smell instantly reminds me of a lager but I don’t know what that is exactly. The one thing I really can identify is a strong cereal grain smell. It has a bit of a toasted flavor and no apparent roasted flavors. It’s slightly sweet and not very bitter with a sulfur crispness I associate with lagers. The mouth feel is very thin but not watery. It’s more slick and oily (without being viscous) than watery. It’s a very strange mouth feel I’m not used to in a beer. I was hoping for a roastier, more hearty lager but this beer just doesn’t do it for me. Guinness provided me with two bottles for review purposes, but I’ve seen it around town, 6 11.2oz bottles for around $9. I heard that San Diego is one of the test markets for this beer. 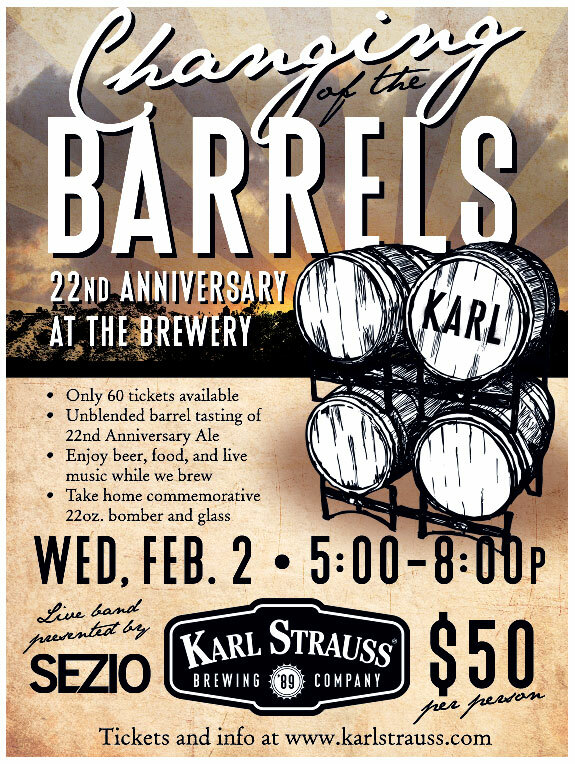 Posted by Jeff Hammett in breweries, events, karl strauss brewing co.
Karl Strauss, the oldest brewery in San Diego, is celebrating their 22nd Anniversary next month, and are throwing a party to showcase their 22nd Anniversary Vanilla Imperial Stout. Only sixty tickets to the event will be sold, guests will get to sample an unblended version of the barrel-aged 22nd Anniversary Vanilla Imperial Stout as well as get to sample the next year’s fresh 23rd Anniversary beer before it goes into barrels for a year. This will be the only time the public gets an opportunity to sample the unblended 22nd Anniversary Ale. 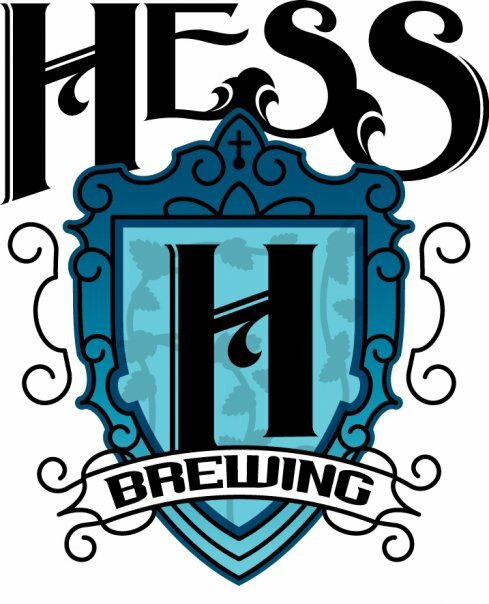 The $50 ticket also includes appetizers, live musical enteratainment by Sezio, a bottle of 22nd Anniversary Ale and a special 22nd Anniversary snifter to take home. This all takes place Wednesday, February 2nd from 5-8-pm at the main Karl Strauss brewery in Pacific Beach. Karl Strauss is expecting tickets to sell out, so if you’re interested in attending, buy them early.